Brandon: I want to welcome everyone to the show this morning. My name is Brandon Tritten. I have Gary Yates, owner of Chimney Sweep with me this morning. Gary, thank you for coming on. Brandon: Tell me a little about yourself and how you got started in the chimney sweep business? Gary: It’s quite an interesting story. Like most business stories I started out in a rough spot. I was working a job in Kansas City, Missouri. I wasn’t satisfied with my job. I was venting to a friend of mine. 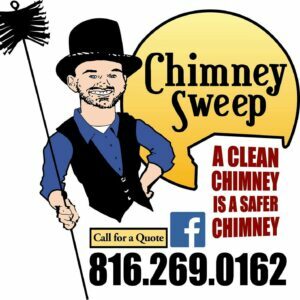 He is a business owner…actually a chimney sweep in Topeka and Lawrence, Kansas area. I’ve got my Bachelors Degree in Business. He told me, “go start a business”. The idea hadn’t crossed my mind at the time. I was married and had a 6 month old son at the time. So financial stability was a big thing for me. Having a job was what I needed at the time. It took a little convincing to look into being a chimney sweep. I didn’t even like climbing roofs. It wasn’t a fun thought for me. After a little convincing I went out and trained a little bit with him to see if I would even like the idea of pursing it. After a while of looking into the market and researching it I found there was a big need for a good chimney service provider here in this area. So I started diving into training, educating myself. Afterwhile I started booking jobs. I worked Saturday’s and Sunday’s up until 2016. In 2016 I left a new fulltime job I had and pursued the chimney sweep business fulltime. I’ve gone a long ways since 2013. This year I’ve expanded into new services. Things are going good. We’ll see where we go from here. Brandon: Why should I have my chimney cleaned? Gary: Chimney cleaning is necessary at certain times. 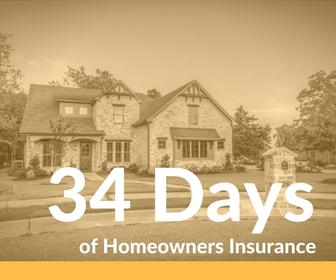 The Nationa Fire Protection Association recommends that chimney’s be inspected annually. Make sure your chimney is inspected each year before you use it. Cleaning is only necessary depending on the level of creosote and build up you have in the system. Typically I’ll be able to determine whether the system needs cleaned at the time of inspection. But you definitely want to have it inspected before you use it. Because things happen every year. I’ll find animals in the chimney’s if there’s no cap on it for instance. There’s wasps…There’s all sorts of things that can get inside your chimney between now and next burning season. If nothing else I would recommend an annual inspection is performed before burning and the cleaning will depend on the level of build up at that time. Brandon: How do you clean a chimney? Do you actually get inside it? Gary: I have before. Yeah I’ve had to crawl inside from the bottom. It’s a pretty nasty dirty job of course. What I do is a very clean process. As a certified chimney sweep, through the Chimney Safety Institute of America, that’s where I get a lot of my education from…my certification. They have a 6-step sweeping process. I follow a very thorough process. It’s a cleaning process. I’ll come in. Lay tarps down in my work area in front of the fireplace so there’s no mess created. In most cases I always leave the home cleaner than I found it. I’ll lay tarps out so if I have to clean the fireplace from the bottom side up, which I do in some cases, then I can do that. It’s still a very clean process. I use a creosote vacuum to control dust and pick up any materials. You don’t want to use a regular shop vac because it will blow dust all over your house. So don’t do that. By cleaning from the top down, typically what I’ll do is seal off the face of the fireplace to prevent any soot, dust, anything from coming into the house. Again, I’ll use a vacuum to control dust. Like I said, it is a no mess process. I’ve heard some horror stories from people using chimney sweeps that didn’t know what they were doing and have created messes. In my process, since 2013 I haven’t made a mess. I don’t plan to. Brandon: What’s the difference between cleaning the chimney and the inspection process? Gary: Cleaning the chimney…during that time I’m removing any soot or creosote deposits. Now what soot and creosote is…creosote is a natural by-product of burning wood. So if you’re burning natural wood in your fireplace it creates smoke. Creosote is condensed wood smoke. So a smokier fire will create more creosote. And what happens is you have hot gases that cool off as they go up so all the smoke starts to condense as it cools and starts creating a sootie black residue from the wood smoke. Now over time, as it’s exposed to more heat, more smoke, more products from the combustion process, that soot will continue to build on itself and create what we call creosote. Which is that nasty black stuff that lines the chimney’s. You will hear, “a clean chimney will help prevent chimney fires”. That’s because a chimney fire by definition is the burning of creosote or soot within a chimney or connector. So no creosote, much less of a fire hazard. The chimney inspection on the other hand is a little bit different, because you may have no creosote or soot within the system, but still be at risk for a chimney fire. The reason being, if there’s no chimney lining, there’s a potential hazard. If there’s gaps or cracks or large holes within your chimney, smoke and heat and multiple hazardous things can seep in behind the walls…which if it gets to wood framework or to combustible products within the chimney it can cause a fire. The inspection process will allow me to take a look at the interior of the chimney. Also it will allow me to take a look at the exterior of the chimney condition to make sure you’re not at risk for water entry into the chimney. Water is a big destoyer of chimney’s. You have masonry and water…and masonry acts like a big sponge and absorbs that water, which over time will create a lot of deterioration. The inspections are pretty thorough. It helps me evaluate the entire system to make sure they are as safe as possible to use before you start up your first fire. Brandon: So is it safe to assume, if I plan on burning every fall and winter I need to have it cleaned? Gary: Not necessarily do you have to have it cleaned every year. Like I said, the cleaning will only depend on the level of build up at the time of the inspection. What is recommended is an annual inspection at minimum before you burn. And at that time I will be able to determine whether or not it needs cleaned. Brandon: What about gas fireplaces? Do you recommend they be inspected and cleaned too? Gary: Gas fireplaces do need to be inspected and serviced. Every gas fireplace is different. There’s so many gas fireplaces being sold today. Each one has its own maintenance requirements. Gas can create a sootie residue similar to wood burning. Not as much. Wood is going to create a lot more residue. With gas it will create a sootie residue…for instance, if you have gas logs, pick one up and you’ll get a really nasty, kind of black smeary soot on those logs. Those will need cleaned periodically. The system will need to be looked at. Also the inspection will allow me to take a look your lining to see that it’s properly constructed. I’ll see a lot of gas log sets that are set in the firebox in the fireplace and they’ll have no lining inside. With gas you’re at risk for carbon monoxide poisoning. There’s a lot of things I’ll discover in the inspection to make sure is as safe as possible before lighting up. Brandon: You mentioned carbon monoxide. Tell me more about that. I know it’s dangerous. How can families keep themselves safe? Gary: Carbon monoxide in fireplaces is the result of incomplete combustion of the fuel. With woodburning for instance, if there’s not enough oxygen during the combustion process (during the fire process) it can create carbon monoxide. Now carbon monoxide, if the fireplace is vented properly, will go up and out of the house. But again, if there’s gaps in the lining or no liner at all and there’s gaps in the brick that carbon monoxide can seep through the house. It is colorless, it’s oderless, and it can’t be detected by humans. It is what we call the silent killer. It’s undetected by humans so it’s very dangerous. What I recommend is having carbon monoxide detectors on each level of your home, as well as fire and smoke alarms. This will be your first alert and detection if there is any carbon monoxide leakage within the home. Brandon: Are all chimney sweeps created equal? Gary: No…they’re not. Unfortunately I’ve ran into several companies that aren’t very ethical. Like I said, I am a certified chimney sweep through the Chimney Safety Institute of America. What’s a certified chimney sweep? I’ve gone through a lot of education to make sure that I know what I’m talking about when it comes to fireplaces. Every fireplace is constructed differently. There’s masonry fireplaces. There’s factory built fireplaces. There’s gas fireplaces. So if you have a technician come out to your house and they don’t know what they’re looking at they may not get the system properly inspected. They may not get it properly cleaned out. So understanding and knowing what you’re working with in regards to the fireplace system is very important to ensuring that it’s in the safest possible condition to use. Unfortunately I’ve ran into some cases where somebody has already come out and inspected the system and they missed a lot interior damage and told the homeowners it was safe to use. I use a camera to take a look at the interior of the chimney. I’ll take a look at the lining, the joints, make sure there’s no cracks in the system and go through the entire system to make sure it’s as safe as possible to use. I also provide a lot of education to my clients to make sure they understand what they have, how to use it properly so they feel comfortable with that. There’s a lot of, unfortunately, dirty sweeps out there. Again I have a very clean process. Not everybody is created equal there as well. I’m a very detailed sweep. I feel it’s necessary in my profession because I want to make sure my clients feel safe with me coming into there home. And also I want to make sure that they understand that I will be leaving there house and it will be clean. Brandon: That’s comforting to know. I know there’s probably a lot of people out there thinking your going to make a huge mess when you come in. Gary: Yeah, I’ve been in some houses where people will cover their furniture, their blinds. I tell them it’s not necessary, but apparently they’ve had some bad experiences in the past. I make sure it’s a very clean process. I’m very thorough and detailed in what I do to make sure that people are comfortable with that. Brandon: What other services do you provide? Gary: I offer dryer vent cleaning and inspections as well as other chimney services. I do chimney cleaning, inspections, repairs. I install chimney caps to keep all the critters out of your chimney. With the dryer vent services, the inspections and cleanings are very important because dryer lent is a hidden hazard within the home. When you dry a load of towels you get a lot of lent out of the lent trap, right? So a lot of lent will still escape through the system and go into your dryer vent, which should exhaust to the outside of your home. You need to get that cleaned periodically. Annual inspections are recommended on those as well. What happens is once those get clogged up, you may not know it, but you get hot loads, your clothes aren’t drying, your dryer is overheating. Worst case scenario, you burn your house down because lent is very combustible. If you have a couple hundred degrees hitting dry lent consistently it’s going to combust at some point. These are very rapid fires. They happen quickly. Sometime without people knowing. You may be running your dryer while you’re sleeping (which is not recommended) and have a fire and burn your house down. So getting them cleaned and getting the systems inspected is just another way of ensuring that your family is being kept safe from those hazards. Brandon: Wow…something you do every day and you don’t think about. Gary: Honestly, before I got started with this I had no clue myself. So it’s understandable that it’s going to take some time to catch on.